From Lost in Translation to The Beguiled, the celebrated writer/director creates worlds we never want to leave. 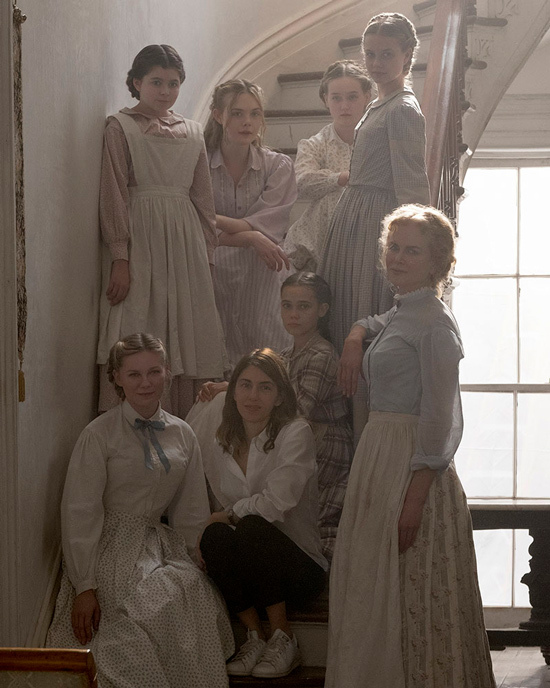 In The Beguiled––due out this June––writer/director Sofia Coppola explores brand new territory with her story of a Southern girls boarding school during the Civil War. But despite the film’s period setting, its luminous, intimate atmosphere immediately reminds you about what makes a Sofia Coppola film such a unique and satisfying experience. After six features and a handful of commercials and music videos, Coppola has developed a style as clear and elegant as the worlds she creates. “I don’t want my movies to feel like movies,” Coppola tells the DGA Quarterly. “I want them to feel like life.” From a young woman finding herself in Japan in Lost in Translation to a daughter reconnecting with her dad in Somewhere, Coppola creates unique cinematic adventures. To celebrate her birthday—which is May 14—and her upcoming film, The Beguiled, we showcase seven things that make her films unforgettable as part of our 15th anniversary celebration. Visit the world of Lost in Translation on iTunes or at Amazon. Explore Somewhere on iTunes or at Amazon. Take a peek at Coppola’s upcoming thriller, The Beguiled. Sofia Coppola and her family of actors in The Beguiled. Sofia Coppola set Lost in Translation at the Park Hyatt Hotel in Tokyo because she had experienced the film’s “camaraderie of foreigners” when she had stayed there before. Having celebrated her 21st birthday at Somewhere’s Chateau Marmont, Coppola loved the legendary Los Angeles hotel. For The Beguiled, Coppola picked Madewood Plantation House as the locale for Miss Martha Farnsworth Seminary for Young Ladies because, as Coppola notes, it “is a beautiful setting but it also has darkness underneath.” Recently it showed up in Beyoncé’s “Sorry” music video in Lemonade, a fun fact not lost on Coppola's young cast. Stephen Dorff at the Chateau Marmont in Somewhere. Bill Murray sings his heart out in Lost in Translation. As the daughter of film great Francis Ford Coppola, Sofia learned firsthand cinema’s capacity to express emotion with images. As a director, she gravitated early on to using hand-held cameras that allow you to get “close and closer to the character.” She has been credited with developing a particular shooting style, “shadowing a character from behind” to let us be part of their emotional experience. Following Charlotte's journey in Lost in Translation. Bill Murray whispers a secret to Scarlett Johansson in Lost in Translation. Once a designer herself and a frequent name on best-dressed lists, Coppola infuses her films with her impeccable style. In Somewhere, Fanning wears a Prada dress that, as Coppola tells Elle magazine, "I bought for myself when I was in Italy a long time ago but never wore.” But Coppola’s extraordinary fashion sense is more powerfully demonstrated in the exquisite way she can transform any object, from a pink wig to a see-through umbrella, into an iconic image.